the Delaware Flag to National Park Service representatives. Image Courtesy of the Delaware Tribe of Indians and Indian Country Today. Indian Country Today has written a brief article about a recent heritage trip 15 members of the Delaware Tribe of Indians, the Delaware Nation of Anadarko, and the Stockbridge-Munsee Community Band of Mohican Indians made to sites in New Jersey, New York, and Pennsylvania.
" “Every place we stopped along the way was relevant to our people,” [CeCe] Biggoose said. “The kids learned about the history of their ancestors and saw where they lived." "
Pocono Record, July 28, 2015. September 29, 2016. All Sides with Ann Fisher with guests President Kerry Holton of the Delaware Nation, Daryl Balwin Director of the Myaamia Center at Miami University, & Marti Chaatsmith Interim Director of the Newark Earthworks Center. 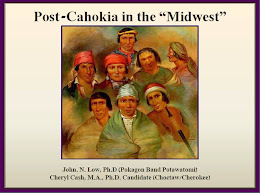 by Dr. John Low, Pokagon Band of Potawatomi and Cheryl Cash, Ph.D. candidate, Choctaw/Cherokee. 9 monumental earthworks sites constructed by the Ohio Hopewell culture (1-1000 CE). "The people who built these mounds were brilliant. Their genius lies in combining complexity and simplicity simultaneously. Their mathematical and astronomical complexities challenge our mental capacity while simultaneously their simplistic structures evoke a calming, soothing, and in some instances a spiritual effect. These people have for the most part been overlooked, unrecognized, and unappreciated. Today we have an opportunity to change that and it is our responsibility to do so." -Chief Glenna Wallace, Eastern Shawnee Tribe of Oklahoma. John N. Low, Jd, Ph.D. 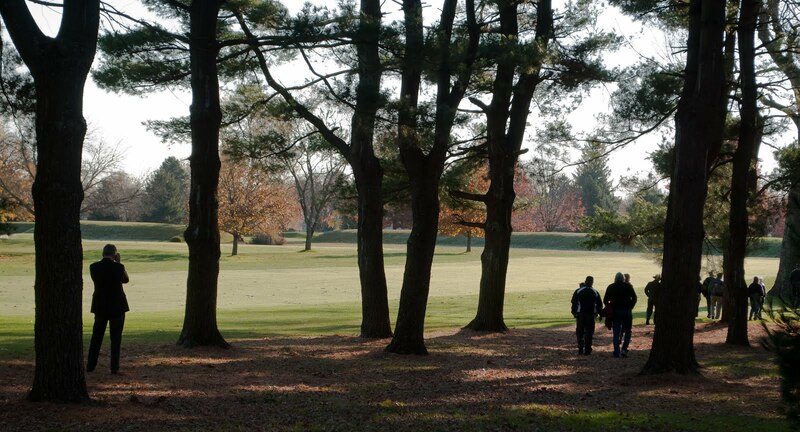 The views, opinions, and beliefs expressed within all articles, videos, and links from this blog do not necessarily represent The Ohio State University or the Newark Earthworks Center. The content of this blog is intended to inform, through multiple view points, on a wide variety of topics. We welcome your input; so please contact us at earthworks@osu.edu with any questions or concerns. 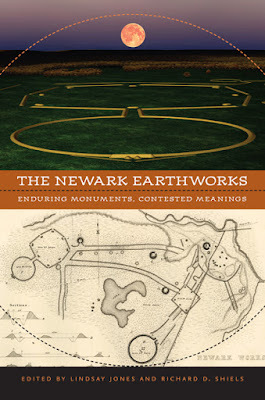 Content implemented by Megan Cromwell of the Newark Earthworks Center, the Ohio State University. Simple theme. Powered by Blogger.